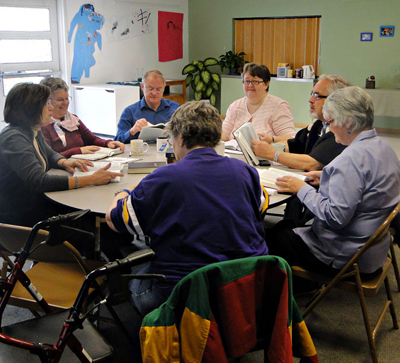 Bible study is open to anyone, no registration necessary -- come for one session, all the sessions, just a few sessions. Coffee and tea and good fellowship are always available...and often, goodies. Bible Study continues all year long. *You can find out what the readings for the coming week are by downloading a copy of the current year's lectionary. Until November of 2018, we will be reading from the schedule for Year B .After that, we will be reading from the schedule for Year C.